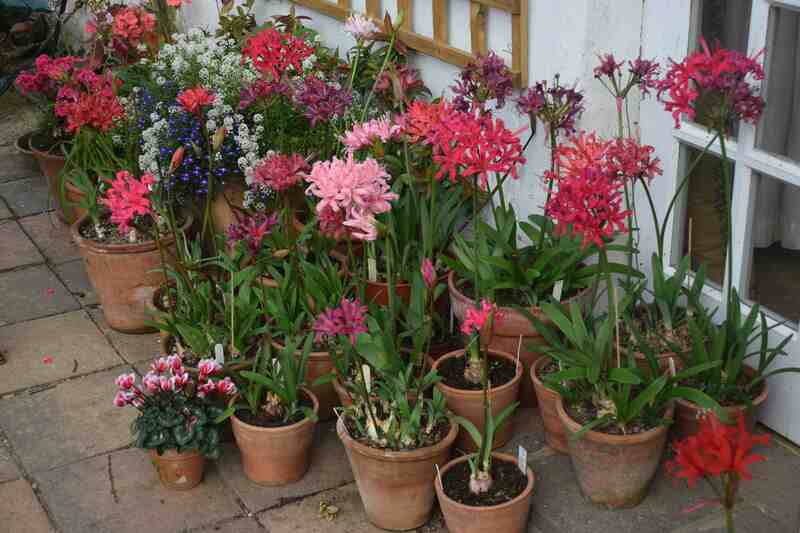 One of the wonderful things about autumn is getting involved with bulbs. But as well as planting them there are some you can enjoy. I am glad to say that my bulb order arrived this week and there was just time to plant the autumn-flowering crocus. I put some in last year and the new batch had shoots about 2cm long on them so they were just about suitable for planting but last year’s batch are just poking their lavender snouts through the lawn. 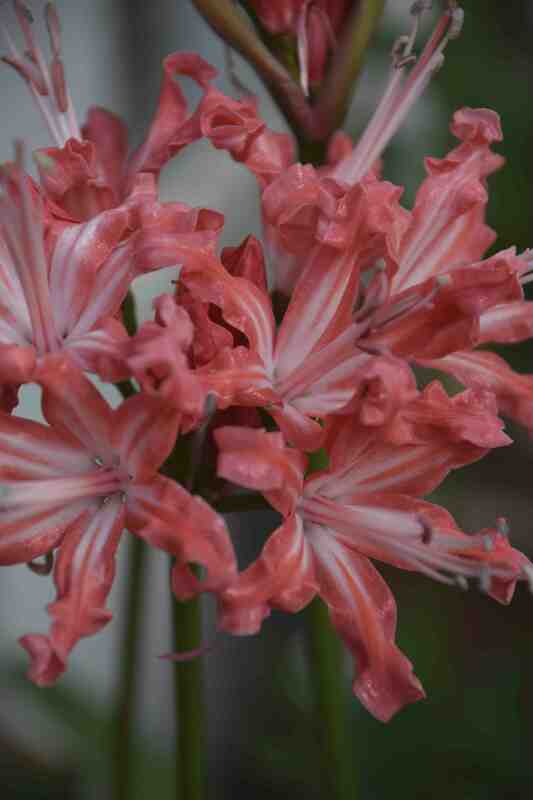 But I had the privilege to visit a private collection of nerines a few days ago and that was a wonderful experience. 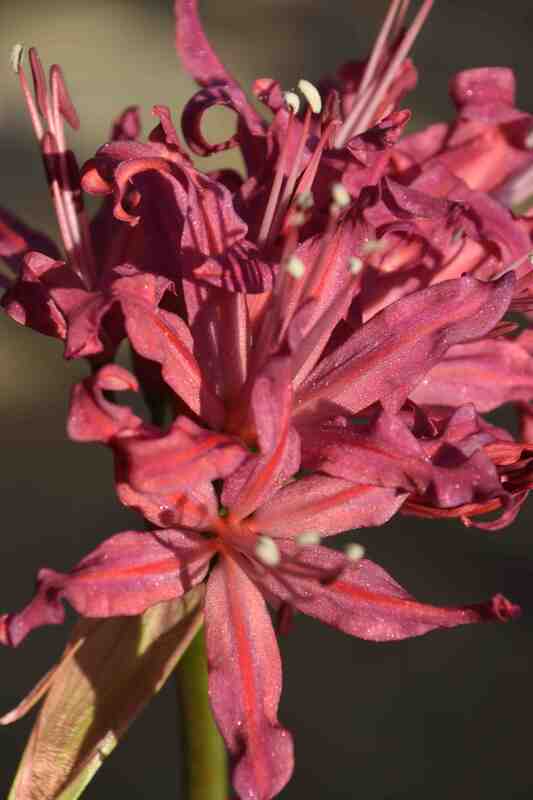 The common, pink N. bowdenii is a good garden plant for a sunny, baked spot and there are some wonderful clumps locally, often in gardens where not much else is planted and the nerines can be left alone to get on with life untouched, which is just what they want. 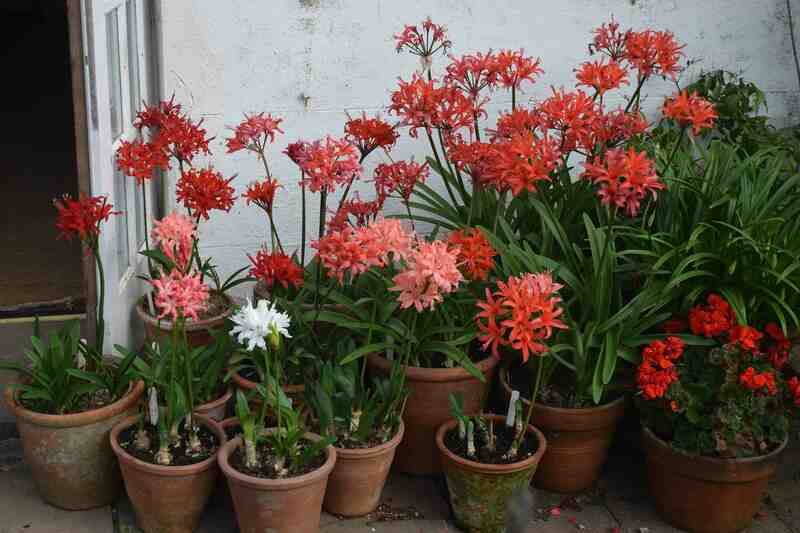 They can take a while to settle down and they are happiest when the bulbs are jostling for room at the soil surface. But this collection was of cultivars of the tender N. sarniensis, a spectacular orange/scarlet species that has been extensively hybridised. As a result there is a spectacular array of colours, from white, through pink to scarlet and true red as well as newer, striped and purple shades. They tend to be as expensive as they are spectacular and take several years before they make a clump or offset enough to give away but I was delighted when I was given two pots which have flower spikes almost at flowering stage. 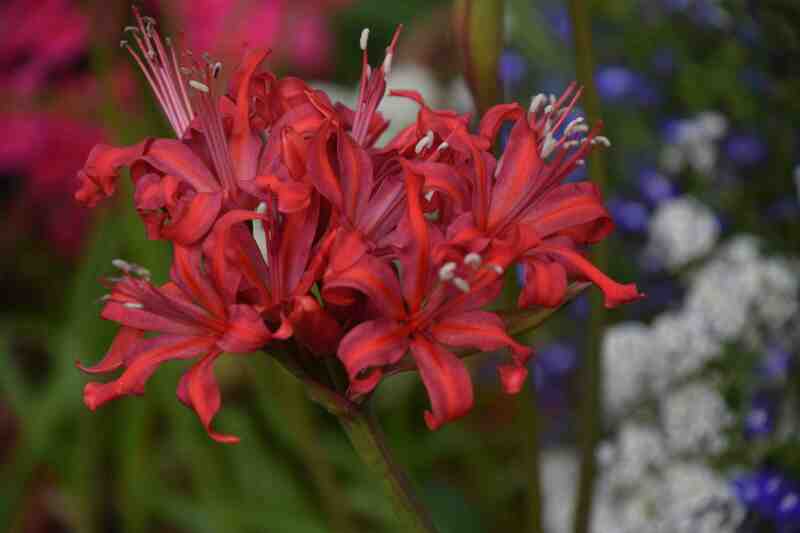 The owner of these nerines keeps them in a sunny greenhouse most of the year. It is unheated but the plot is not far from the sea and winters are usually mild here – at home in the UK I would give them frost protection. They come into leaf soon after flowering and are dormant in summer. Apparently they are best grown in plastic pots but the owner of these prefers terracotta pots and I must say I would go with that too to avoid overwatering. He uses a loam-based potting mix with added grit but also some well rotted manure so they get a fairly rich diet and appear to be thriving on it. Gorgeous, I love them. That last one is heavenly. Mine are very late blooming this year. N.sarniensis is in flower but all the others are still in bud. Yes it has piqued my interest in them again and I will have to get more when I get back. Was browsing the Rothschild/Exbury website and they range from £8.50 to £25 – and that isn’t per dozen! Thank you. It is quite a place.